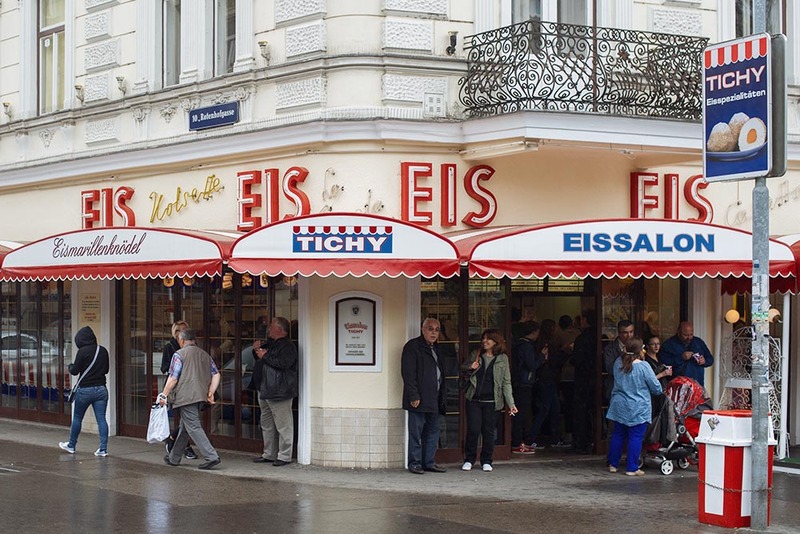 Another great thing happening in spring: all the italian gelaterias and and austrian icreamparlors in Vienna reopen for the new season. Icecream heaven is back! 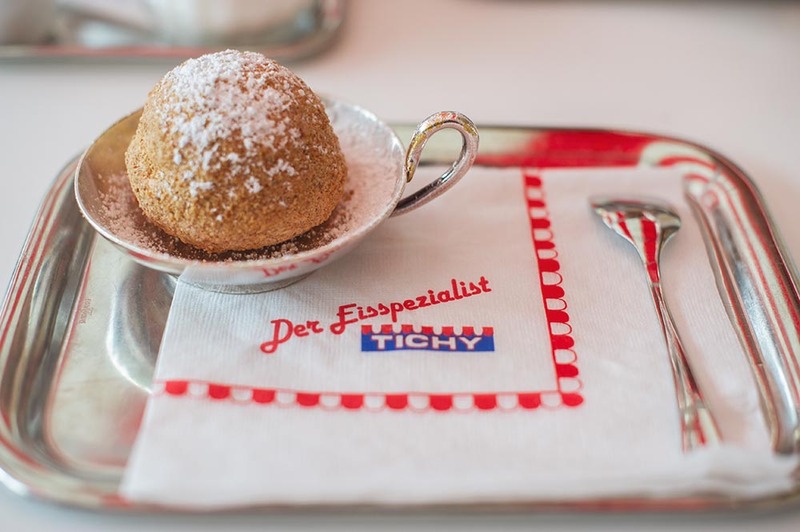 While my personal all-time-favourite is “Eissalon am Schwedenplatz”, Tichy on Reumannplatz is another of the classics, especially know for their famous “Eismarillenknödel”! An icream dumpling (ball) made out of vanilla icecream, an apricot core and rolled in nuts – so delicious! Founded in 1952 by Kurt and Marianne Tichy they soon opened their first permanent store at Reumannplatz, where it´s been located until today. 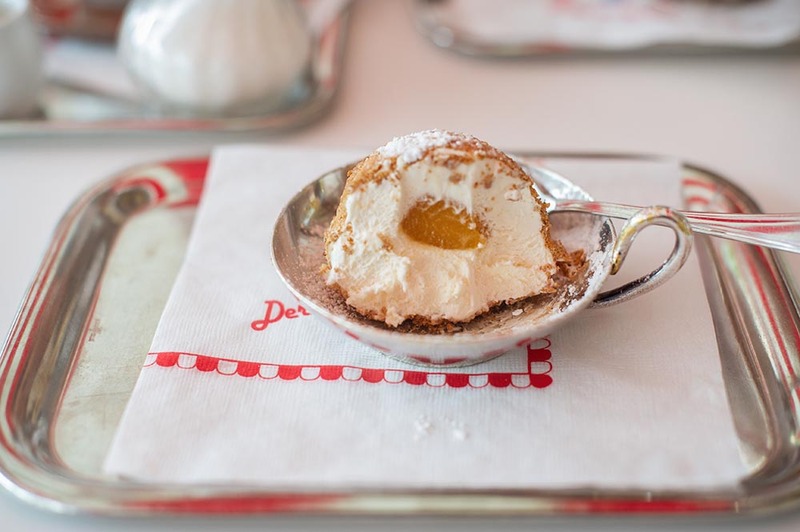 Just hop on U1 to Reumannplatz and enjoy the fabulous icecream, the retro and kind of vintage interieur! 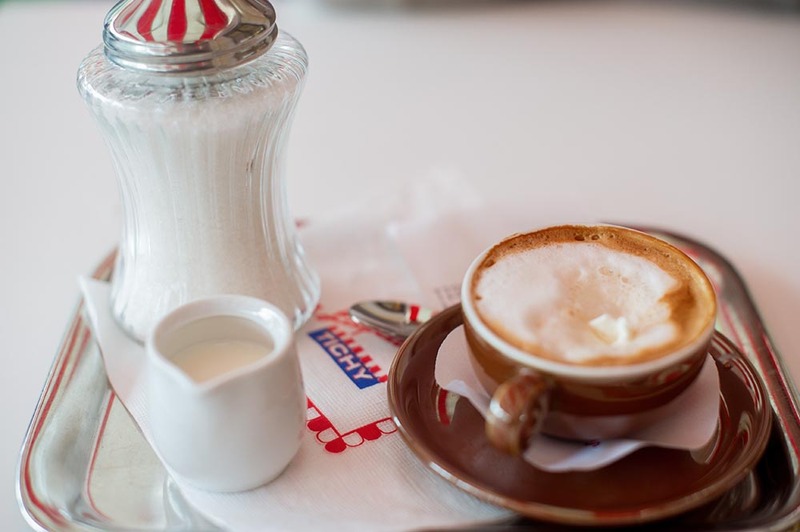 I ordered a “Kleiner Brauner” which normally is an espresso with a little bit of milk and milk froth – here I got an espresso with milk, milk froth, wipped cream and some milk on the side! I just had to take a picture! ← It´s the season of the cherries!